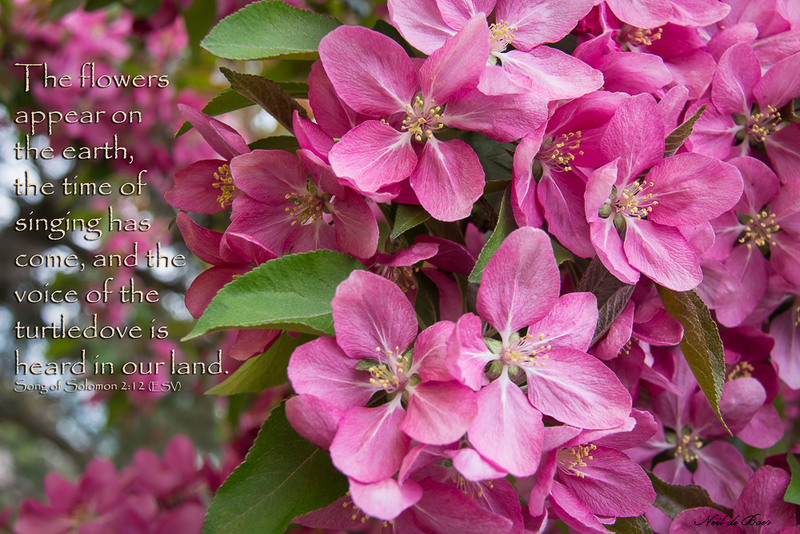 Spring is here and the apple blossoms are in bloom! This verse seem appropriate for this time of year. We are celebrating the Victoria Day Weekend here in Canada. Victoria Day celebrates Queen Victoria’s birthday (May 24th). Canada is still a member of the Commonwealth of Nations, of which the Queen is head. 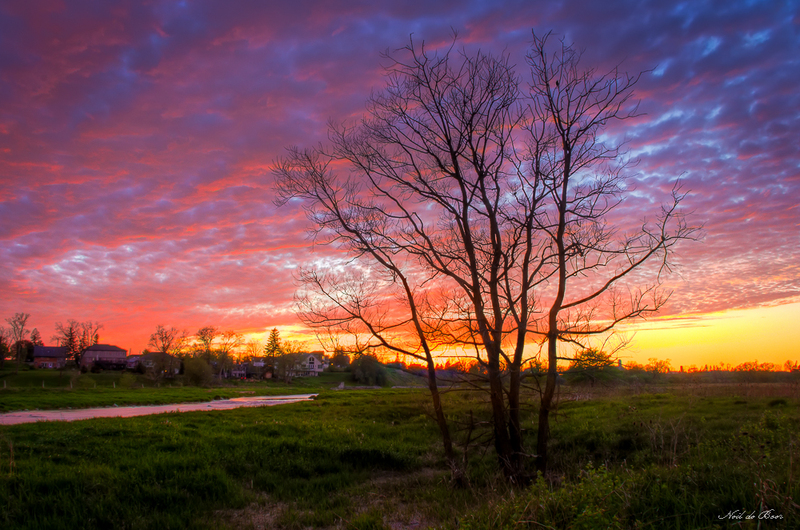 Here is another shot of the sunset taken in Hawkesville. I like the contrast between the colours of the sunset and the monochrome tree. I could see the potential for a nice sunset this evening so I jumped in the van and searched for a good location. I ended up here at the river in Hawkesville. HDR 3 exposures. 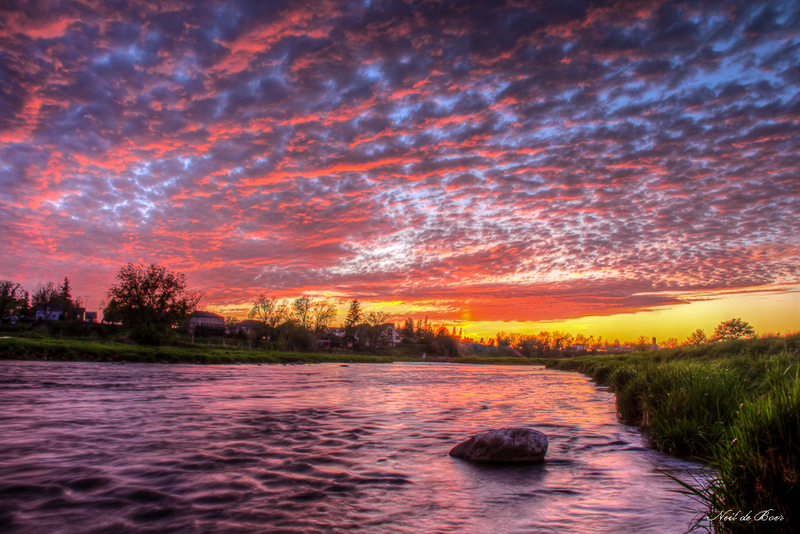 Edit in Photomatix, and Lightroom. 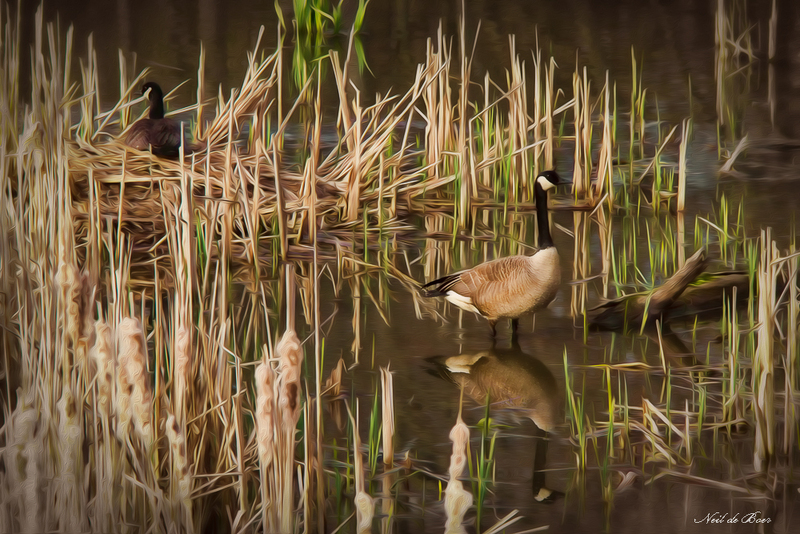 This Canada Goose stands on guard as his mate keeps the eggs warm in their huge nest. Taken on one of the trails at the Royal Botanical Gardens in Hamilton. 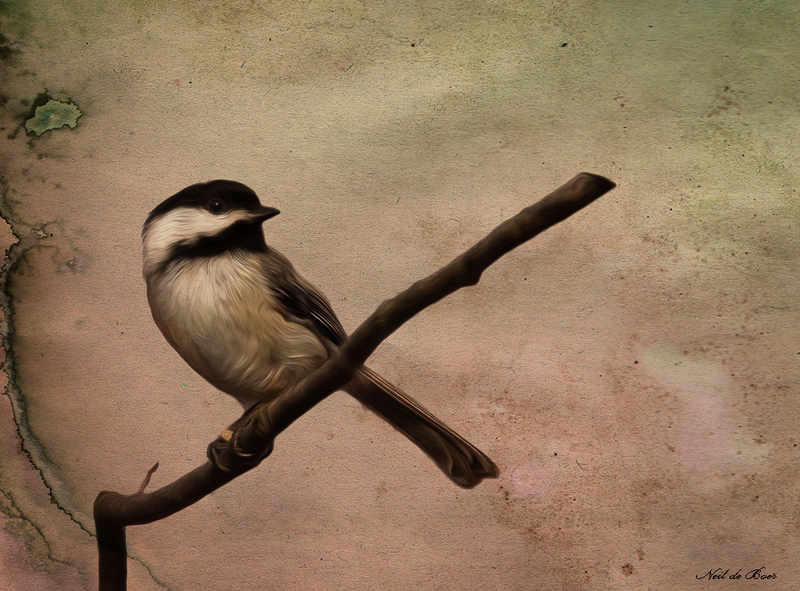 Chickadees are friendly little birds that will eat out of your hand once they get used to you. This one posed for me at the Royal Botanical Gardens in Hamilton Ontario. 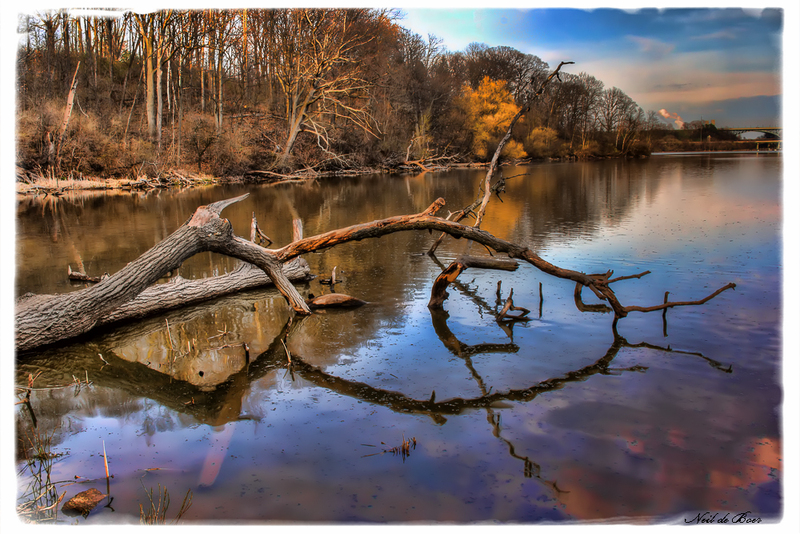 Although this tree is dead in the water it still can provide interesting lines and reflections that appeal to my eye. HDR processed with photomatix, lightroom, photoshop and topaz adjust. 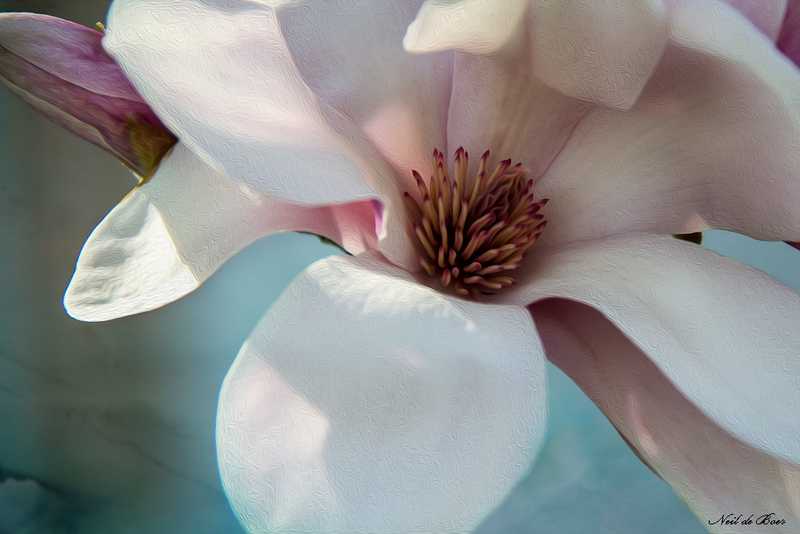 The beautiful Magnolia trees are in bloom! I love seeing these trees with their big blossoms. It’s a wonderful intro to the summer.